FREE Planner 2019: Design a Life You Love! 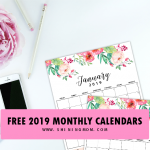 My heart is thumping in delight to release this free planner 2019 today! It’s one amazing planner that is carefully crafted to help you boost your productivity and ultimately help you design a life you love. Are you ready to print your own copy? 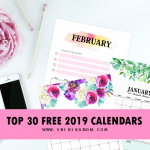 This premium free printable 2019 planner is loaded with 50 useful organizers that will help make 2019 your best ever! I am so excited to share it with you! Yes, it’s a big day here at Shining Mom because I am releasing the 2019 edition of our most popular planner ever released here in the blog: The Design a Life You Love Planner! I am simply over-the-top grateful for the soaring success of the 2018 version, and I admit, that success made it quite challenging for me to conceptualize and actually come up with the 2019 edition. And so I poured so much heart and hard work creating this free planner 2019. I wanted to release another beautiful one that I hope you are going to love again. I guess I can confidently say that I have created another amazing planner! It comes just as refreshing, charming and useful as the older version and am so thrilled to share the The 2019 Design a Life You Love Planner with you! Through the years, I am happy to share that Shining Mom Blog has humbly built its reputation as a reliable resource for practical and functional planners that are so easy to use! And clearly, this year has been a magical milestone for the blog. Shining Mom subscribers and visitors are hitting numbers waay beyond my expectations and I sincerely thank you for that. 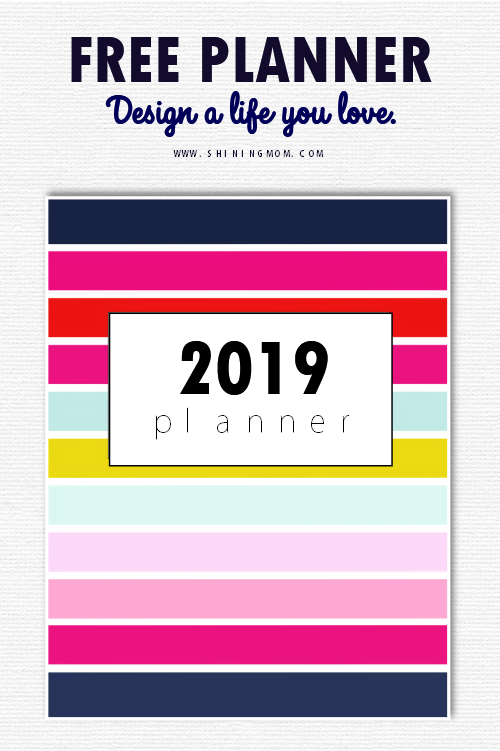 Please know that you inspire me to deliver my very best each time, like this free planner 2019 that I have here for you again. Thank you for using Shining Mom planners. Thank you for making me part of your day. What an honor! As my simple way of thanking you for your warm support for the blog, be sure to have a complete files of this another work of heart from me: your printable 2019 planner that you can absolutely print and use for free! Ready to enjoy a copy? Let’s have a quick tour to the planner pages first! 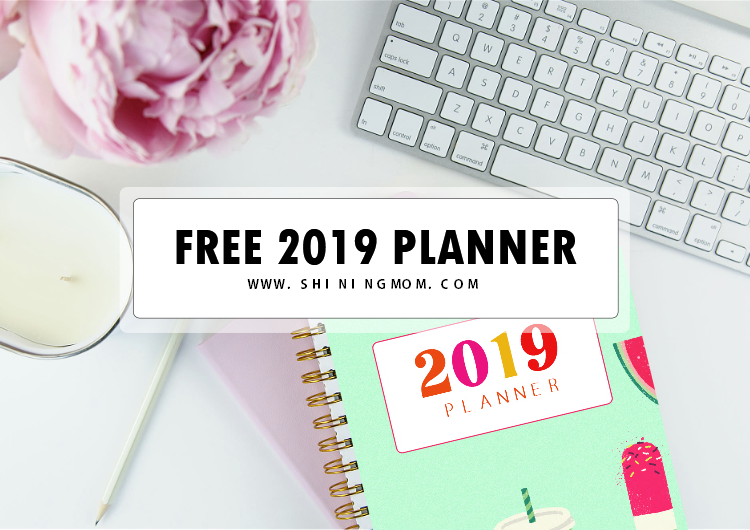 The Free Planner 2019 by Shining Mom Blog: Carefully Crafted to Help You Design a Life You Love! The 2019 Design a Life You Love Planner comes in three parts: Life Planner, Home Planner, and Kiddie Binder. Yup, it’s a three-in-one planner covering almost all your basic planning needs! It has over 50 printable pages to love! This free, three-part planner comes in fun and cheery print to help you set your every day to the right mood. Thanks to Design Cuts and Creative Market to some of the graphic elements I used in designing it. Each page comes clean and of course pretty in super practical and functional layout. Let’s now open up the planner and have a closer look to some of its pages? Please enjoy this quick tour that will give you a good grasp of the free planner 2019 you’ll be receiving from me today. Here then are the three sections of the planner to love. Be sure to snag all of the files included! I don’t know about you but I am this type of person who loves to dream and to set goals. Quietly, I write these dreams and goals in my planner for me to always be reminded to keep my eyes on my targets. I especially love to write them before the new year comes in. I believe dreams are our soul’s blueprint for success. For as long as we dream, we never stop moving forward! 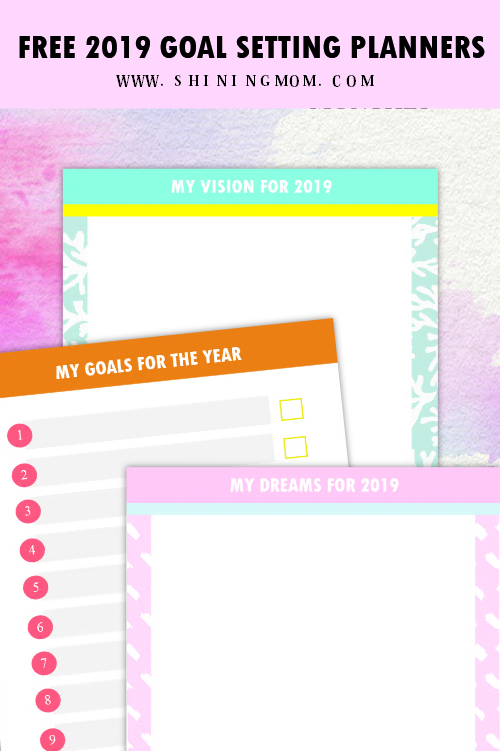 The first section of this free printable 2019 planner, I must say, can be your best friend in dreaming and goal-setting. It includes especially designed pages to help you identify your targets in life. Look! Really, the Life Planner section is a powerful section of this free planner 2019. It covers amazing worksheets and planners that will drive you to dream higher and achieve more while enjoying a life you love. There are four new cover designs to choose from but I also included the original stripe cover as seen below. To enjoy the printables included in this section, simply snag them HERE. Next up is the section for moms and kids. This section comes in vibrant print and playful colors that are meant to amuse the kids. 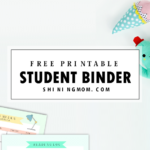 While this chapter is created for the moms to help them organize their kids’ schedules and activities, the pages can also be printed for the school kids to use for themselves! Interested to snag a copy for you and the little ones in your life? Hop over HERE to enjoy this planner! It’s loaded with fun and utility! 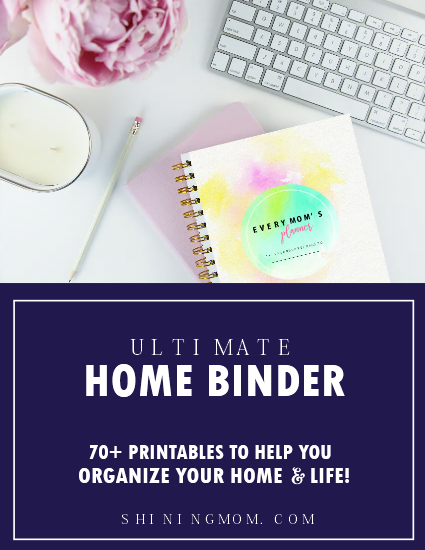 And oh, should you be needing an ultimate household binder for moms, be sure to check out, “Every Mom’s Planner. 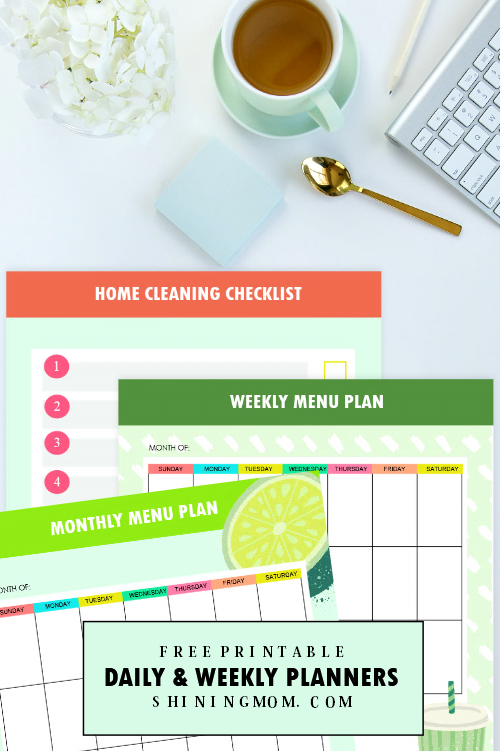 This ultimate mom planner includes 70 planning printables for homemaking. 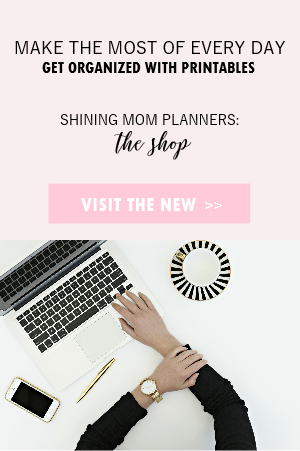 It’s the Shining Mom flagship planner and it’s available for only $8 at my store.Check it out it here. Calling all homemakers, this last section of the 2019 Design a Life You Love Planner is for you!! Now you can track your cleaning schedule, organize your meal plans and manage your home budget easily! Home Cleaning Checklist and More!!! Do you think you can use these planning sheets? You may enjoy a copy of this planner section HERE. Again, it’s for FREE! One last thing! 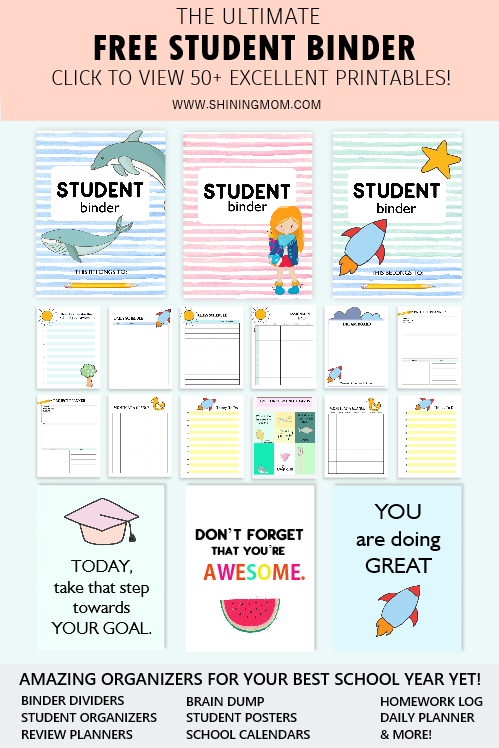 Please know that I have also included inspiring planner dividers that are up for free grab. 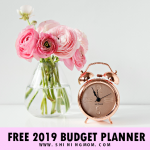 There are five planner dividers for your free planner 2019 to choose from. 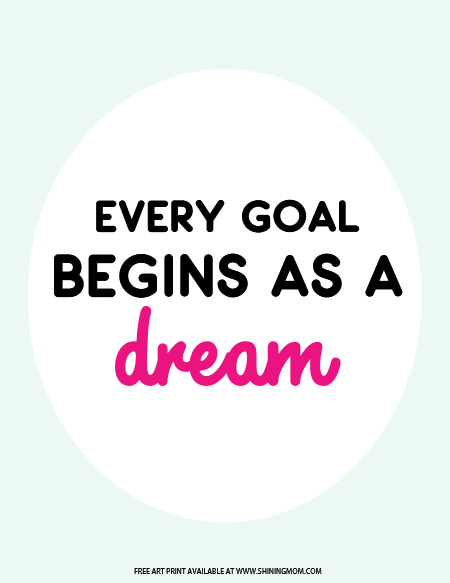 These dividers include motivational quotes and lines that will drive you to keep dreaming, believing and doing! Simply put, they’ll push you to do greater things! Fuel Up Your Career, Life and Home for an Amazing 2019! That’s about it! I hope you love the planner. Do print a copy of it now and start mapping out your plans for 2019. I am so sure this planner will help boost your career and personal life! 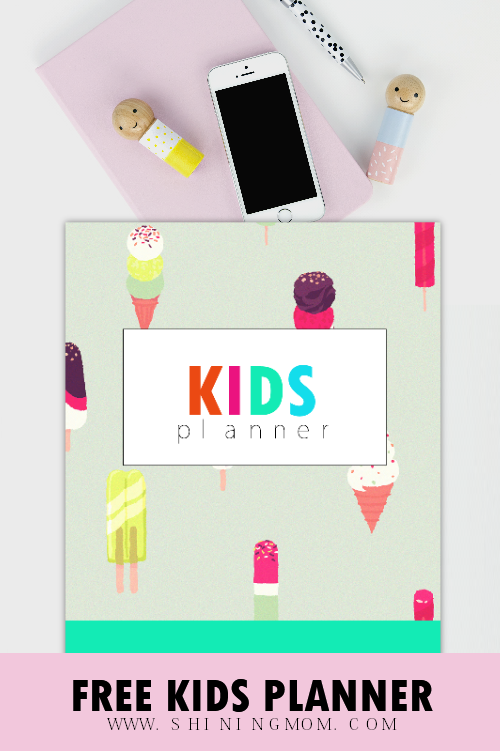 This planner comes in 3 files that can downloaded from each section presented in this post namely Life Planner, Kids Planner and Home Planner sections. Be sure to snag all of them! If you’re interested to get them in one single file sent straight to your inbox, join the over 30,000 Shining Mom newsletter subscribers and receive the whole file immediately. Join the mailing list HERE. The 2019 Design a Life You Love Planner is designed for printing in US Standard letter-size paper with 8.5″x11″ dimensions. You may also print it using A4 sheets, just be sure to adjust your printer setting. 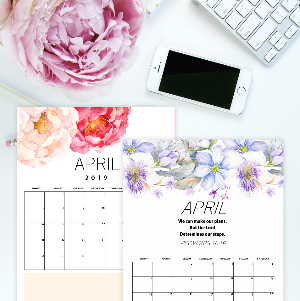 Just In: Printable Calendars For Your Free Planner 2019! Exciting news! I have just released printable calendars at the Shining Mom store and I think you’ll be happy see them! 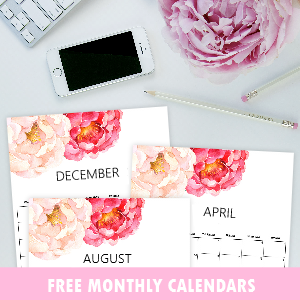 These charming calendars will work perfectly with the free planer included in this post. Pick the design of your choice from this list. (I’ve also included an ultimate money management binder just in case you think need to organize your finances, too.) Here are the pretty calendars that will make great additions to your planner! 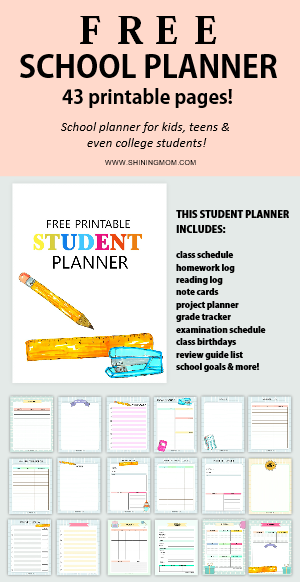 PIN THIS FREE PLANNER 2019 AT PINTEREST! 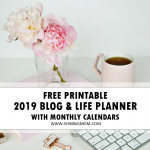 Save this post for future use and help others discover this free 2019 printable planner by pinning this post at Pinterest. You’ll also help the Shining Mom blog grow that way! Thank you very much. 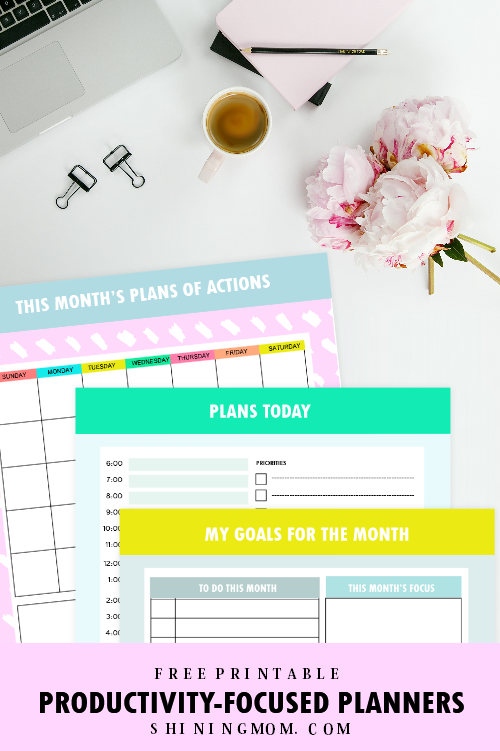 Happy Life Planner: 30 FREE Organizing Sheets! I have huge dream for this free planner 2019. I dream that it will reach and bless thousands of people in the world! 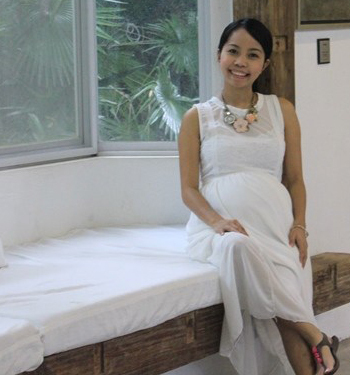 May you can help me achieve my dream by pinning this post at Pinterest? Help spread LOVE. Pin this post! Thank you very much. ENJOY this free planner 2019, friends! May it truly help you design the kind of life you love. Don’t forget to say “Hi” or share any thoughts at the Comments , I’d love to hear from you! Wishing you all the best. Have a bountiful year ahead! You’re awesome! Thank you. I hope you can use it! Beautiful! Thank you for that. Hello, Pennie! Thank you for your kind words. Much needed. Love you! I am in awe of your generosity. This will be my planner for the year, no need to have to buy an expensive replacement I can print and refill with llayouts I need. Awww! I am delighted to hear that. Thanks, Jodie! Looove the printables! They are fun and happy and filled with colour! Thank you sooooo much for posting these! Will definately be using these. Thanks for sharing this hapiness! Thank you for your kind words, Gabriella. I am so glad you love the printables! Please enjoy using them. Thank you for appreciating my word, Shital. Yes, I’ve spent hours creating this planner. I pray that it will bless thousands of amazing people like you! I LOVE THESE !!! CAN’T THANK YOU ENOUGH! Hi mommy khaye. Your time and effort in creating this wonderful planner is truly appreciated. Thank you and may our 2019 be a life that we love. I love your work! Lifesaver! Thanks a lot! Thank you, Christine! I hope you can use the planners!